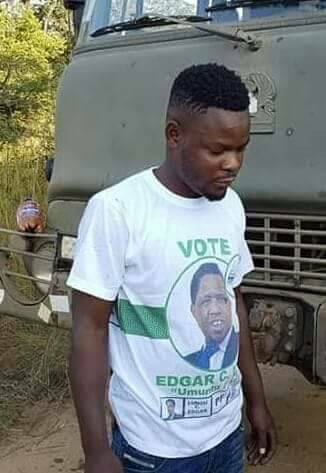 Its not surprising that some so called ‘musician’ and a similar so called ‘music producer’ have taken time to capitalise on the stupidity of a pevert who took pride in humiliating a defenceless woman in the now famous ‘Katundu’ video. Zambian music is slowly losing it’s relevance in fighting for good causes in a politically, socially culturally and religiously bankrupt society and the sooner those entrusted with the responsibility of overseeing the industry acted, the better for the nation. When the the PF government of Michael Sata formally recognised art at government level by renaming the Tourism ministry as Ministry of Tourism and Arts, it was the responsibility of the artistes to rise above pettiness, immaturity and artistic incompetence and take up their rightful place as watchdogs of society and defenders of the defenceless like the woman in the video. But alas! What we are seeing is a generation of fly-by-night artistes who will only dream of fame and popularity at whatever cost. Proposals where forwarded to government through the then Minister of Tourism Hon Sylvia Masebo to consider having a body like ZAM (Zambia Association of Musicians) under an Act of Parliament considering the need to help in regulating certain happenings in the industry especially where self regulation has failed. This was going to help curb irresponsible musicianship and create a culture of utmost professionalism in the art. But as in the usual style, those proposals gathered dust and got shredded along the way. Now we have a lone and often unpopular Minister of Religious Affairs and National Guidance Godfridah Sumaili pushing the cause for regulation in the arts. Today Lawyers like Martha Mushipe have had their practicing licences suspended because of the nature in which their representative bodies are regulated. Kalusha and Simataa Sims Simataa cannot similarly go against FIFA or FAZ sanctions because of the seriousness with which these organs are governed. Its therefore timely that we request those with the authority to seriously look at the repercussions of this social time bomb in form of the arts which has already contributed to the degradation of the nation’s moral fibre. But again, this advise can be ignored as has been and we can all live ‘happily ever after’ and not hear any complaint against musicians. Its all in our hands.